This month we are thrilled to bring you another collection of chocolates from around the world. They represent makers based in Scotland, New Zealand, the USA and Perth in Australia. First of all is Raven who started experimenting with chocolate in 2015 in Glasgow, Scotland. They believe in using minimal ingredients to make their vegan chocolate without compromising flavours. With the goal of making luxury chocolate products that are both unique and healthy, you don’t have to feel any guilt about enjoying these bars! Next is MAP – a chocolate we have been keen to get for ages! We love the concept of using chocolate as a way to travel the world from your couch. Mackenzie Rivers makes every step of her chocolates by hand in Eugene, Oregon. She started with $50 of beans and a borrowed roaster, and now has wonderful chocolates that tell the story of their origin through both flavour and packaging. 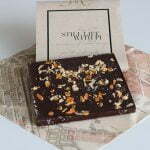 From Dunedin in New Zealand, comes chocolate from Liz Rowe at OCHO. Liz became intrigued by chocolate during a 6-month stay in Latin America, and now makes her chocolates with no automated machines. Sourcing all their cacao from the Pacific Islands, they work with farmers who grow cacao on family farms. These gorgeously smooth chocolates are perfect for sharing. 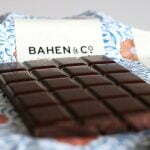 Finally, our Australian chocolate this month, Bahen & Co, is from a family farm in the Margaret River in Western Australia. As a winemaker, Josh Bahen learnt the value of respecting origin and simple processes to highlight flavour. He uses vintage equipment from the early 1900’s and works to develop close relationships with cacao farmers around the world. His bold flavoured chocolates are yet another great example of the amazing chocolate that is coming out of Australia at the moment! 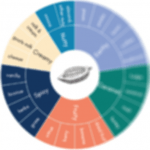 With 36 different chocolate combinations this month, we loved being able to put together the perfect selection of chocolates for each subscriber. We can’t wait to hear which ones they loved most!